Subfloor Odor Sealer Service To Remove Cat Urine In Subfloor! Do you smell cat urine in subfloor or concrete now that the old carpet has been removed? Did you try removing the smell of cat urine from your subfloor with enzymes,vinegar, baking soda, hydrogen peroxide, bleach? Have you already used a subfloor odor sealer such as shellac or oil based primer to get rid of cat urine but the smell is still there? If your house reeks with cat urine in subfloor or You need a Structural & Subfloor Odor Sealer Service? Our Team will provide a Pet Odor Inspection before making any attempts to remediate the odor problem. We will provide a forensic UV Black light inspection to find Invisible, hidden or previously treated areas that still stink! 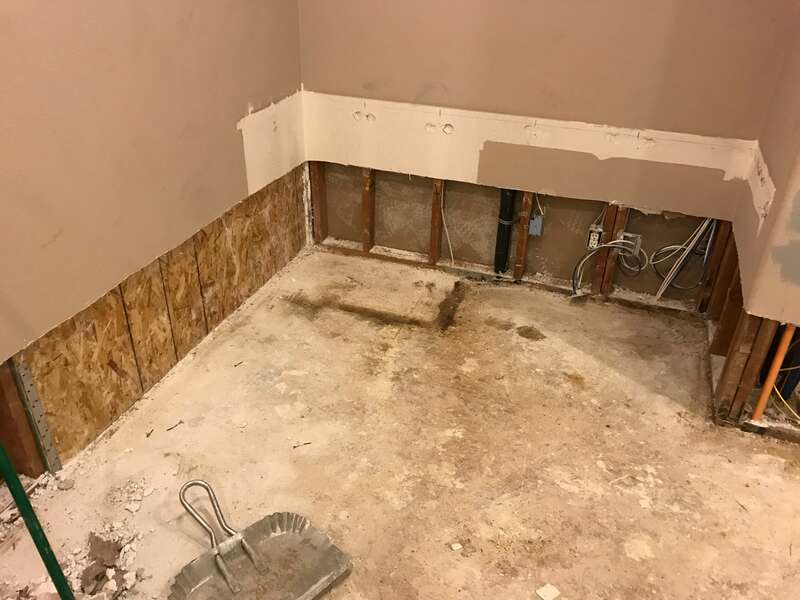 We will write and email a estimate itemizing the cost to remove the smell of dog or cat urine odor from subfloors based on our findings and schedule a start date for remediation. 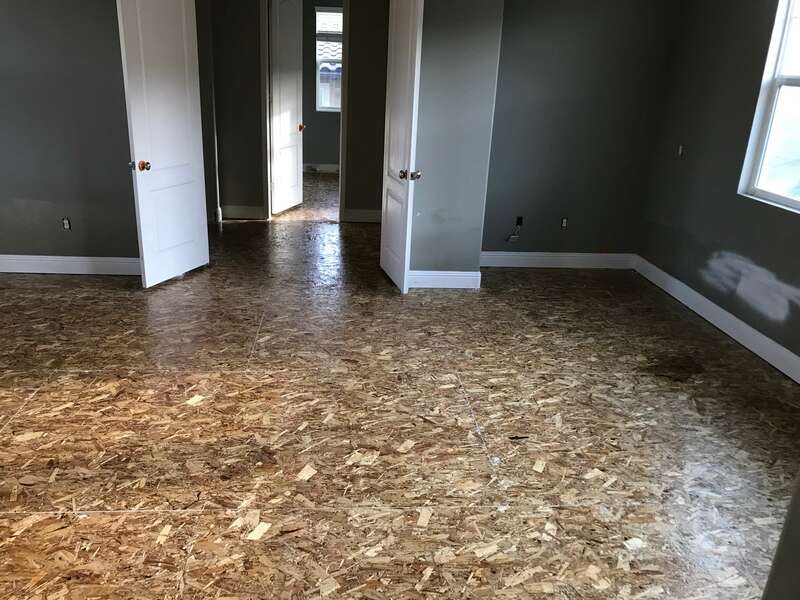 Our Odor Sealer Service will remove all surface contaminants, paint, primer, shellac, polyurethane or inferior subfloor odor sealer products from the plywood. Upon completion of the necessary prep to the sub-floor or concrete we then apply one or two coats our Odor Encapsulator sub-floor sealer. Guarantee 100% Odor Removal! 24 hours after treatment there will be no detectable amount of pet urine remaining on any interior subfloor, concrete drywall or floor joist or wall studs sealed with our Odor Encapsulator……Guaranteed for up to 5 years! It’s not rocket science….But we know exactly how to get rid of cat urine smell from subfloors permanently!! No matter if the cat pee is isolated in one corner of a room or if the whole house smells like cat urine? The first step is to find the source and identify the severity of the damages with our PET ODOR INSPECTION SERVICE FOR HOMES. Finding the source of cat urine odor is not always simple! We regularly inspect homes with Pet Urine Disclosure Issues purchased by unsuspecting buyers that did not smell any odor until after closing escrow! We have found urine stains on walls under freshly coated paint, new carpet installed over filthy urine soaked subfloors. The majority of the homes we visit have already been cleaned and treated by people who are not Pet Odor Removal Professionals!! If you have already purchased a home Do you really have the time to experiment with gimmicks, products and You-tube videos on how to get rid of cat urine? 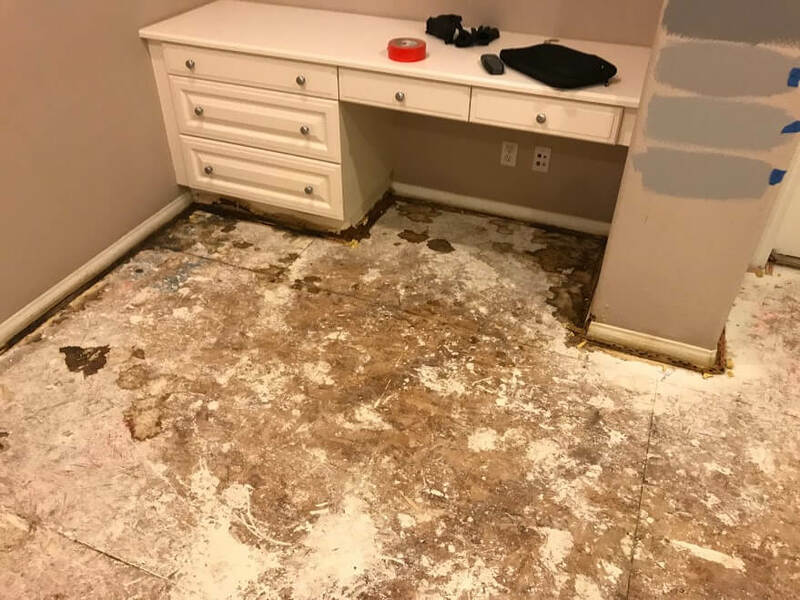 Whats challenging for home owners after realizing the severe urine damage under the carpet is how to get the smell of urine odor out of the subfloors and concrete. Wet urine will spread under the carpet for a long time before the actual extent of the damage is known. Carpet is very porous and it doesn’t take much time for the moisture to reach the carpet backing, padding and sub-floor. Prep is 80% of our service! We do not take chances with less than high standard workmanship or a mediocre products. Our goal is always to get the job done right the first time every time! Based in Los Angeles, we provide service to both Northern & Southern California. We have done large jobs in New York, Michigan, Atlanta GA, Houston TX & Las Vegas. Why didn’t the popular name brand oil based stain-blocker primer and pigmented shellac not work? Shellac is insoluble in water, glycerol, hydrocarbon solvents and esters, but dissolves readily in alcohols and organic acids. The solvent most commonly employed is methylated spirit. Aqueous solutions of inorganic alkalis readily dissolve shellac. Ammonia, borax and sodium carbonate which are milder Alkalis are also used to prepare aqueous solutions. When urine leaves the body human or mammal it is slightly acid (or acidic on the pH. scale). After leaving the body its broken down into ammonia and carbon dioxide. The ammonia is high alkaline on the pH. scale. The reaction from the acidic urine and the ammonia creates alkaline salt crystals. Name brand stain blocker: Originally developed to replace (PIGMENTED SHELLAC SEALERS) perform much the same way in regards to blocking “NORMAL” stains found on walls, not “FLOORS” and definitely not “CONCRETE”. The same chemical properties found in pet urine such as……uric acid, ammonia; carbon dioxide will break down acrylic based primers. When sealing over old urine stains the stain blocker will contend against methane gasses, sulfur, methyl mercaptans, and salt. The stain blocker primer does not have enough chemical resistance to withstand constant contact with these elements. Before you spend thousands on installing your new flooring. Smell every inch of the floor! If you think you smell any odor do not install the flooring.